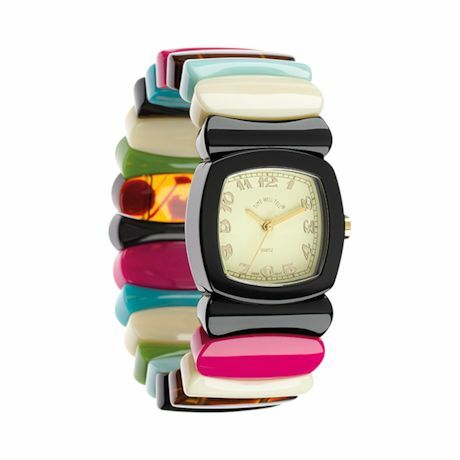 Mid-century whimsy, updated with a modern high-gloss finish. Japanese quartz movement, durable acrylic resin, stretch band. Choose to fit your wrist up to: S(5½"), M(6½"), L(7½").